Let’s say you followed my flowchart and you see that I recommend getting a consumer DSLR. Maybe you were hoping to leap right into a professional model, or maybe you’re on the fence on which way to go. What are the differences between a consumer vs professional DSLR? What are some factors that might help you make a decision? Price. A consumer DSLR is significantly cheaper than a professional model. You can find a used Canon t3i with a lens for less than $500 (don’t go older than the t3i). A newer versions like the t4i-t6i will cost you a more for a few minor improvements like increased ISO, touchscreen and autofocus. 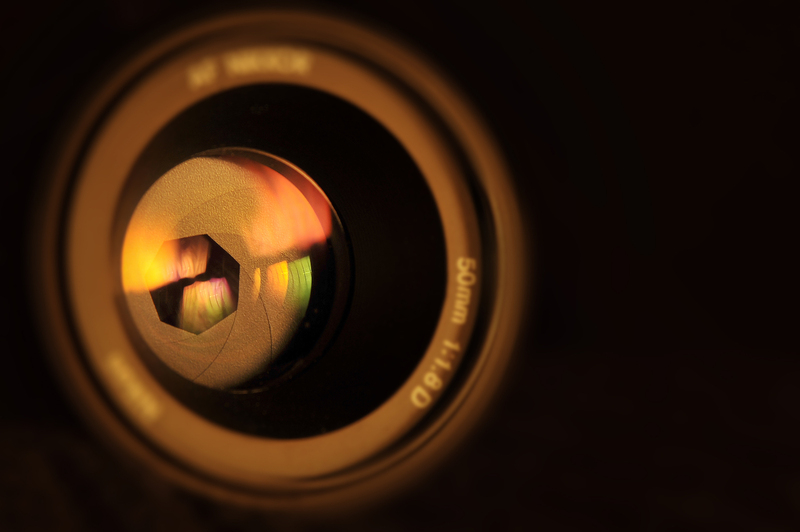 Keep in mind that when it comes to video on a DSLR, manual focus is the way to go. Autofocus might be handy for static shots, but I wouldn’t ever rely on it for anything else. It also immediately limits your lens options as you need a STM lens to make autofocus work effectively.I love Canon because of the lens options, but there are other great brands out there. I’ve heard and seen great things about Sony and Lumix models as well, but have never gotten my hands on those. Nikon has some good cameras as well, but it’s personally not a route I would go. Crop Sensor. Most consumer cameras like the t6i have a crop sensor which basically means your focal length is “zoomed” compared to a full-frame professional camera. Multiply your focal length by 1.6 and that’s the actual focal length you get. In and of itself it’s not a huge deal unless you’re wanting to film really wide shots, which means you’ll have to get creative on lenses. Canon has EF-S lenses for crop sensors, but keep in mind those lenses will not work on full-frame if you ever choose to upgrade. Low Light and Overall Quality. The real difference between consumer and professional DSLRs is the low light performance. Let’s say you push the ISO to 3200 on a t4i. You’ll be able to illuminate the scene more, but you’ll add more grain at the same time. Conversely I can push the ISO to 3200 on my 5D Mark III and the grain will hardly be noticeable. The overall quality of a professional camera is better than a consumer camera, but if you have or create enough light for your shots, a consumer camera will do just fine. If you’re just starting out and say you have $1,000 to spend on a DSLR, I would suggest spending $500 or so on a consumer camera and fill out the rest with some other gear (lenses, audio, tripod, etc.). Remember it’s about the story, not just the gear. If you have a little more to play with beyond consumer, but not quite professional, then you could explore options like the Canon 70D, 6D (prosumer full-frame which I also use), Sony A7s (I’ve seen some amazing films created with this low-light beast), or the Panasonic Lumix GH4. One last thing: Read reviews before you buy. There’s a wealth of knowledge that can be found in a simple Google search or even reading the reviews on B&H or Amazon. See what others have been saying before taking the plunge. Feel free to comment if you’re looking for more on what I’m shooting with (t4i, 6d, 5d MIII).